I love how this came out. Everyone that commented on my nails when I wore this mani thought I had on nail stickers. LOL! I love it when my manis look that "professional". 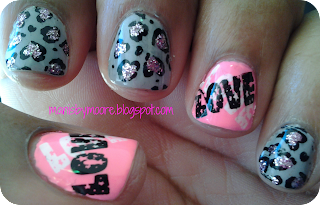 I actually have never tried nail stickers yet. I can't create a reason enough for me to purchase some of them. I have so many stamps and polishes I could create just about anything I want in any color I want. I keep hoping I win some in a giveaway or find some super cheap. That will be the only way I try them because I can't justify enough reason to purchase them. What do you think of nail stickers? Have you tried Bunny Nails image plates?? Thanks for stopping by! 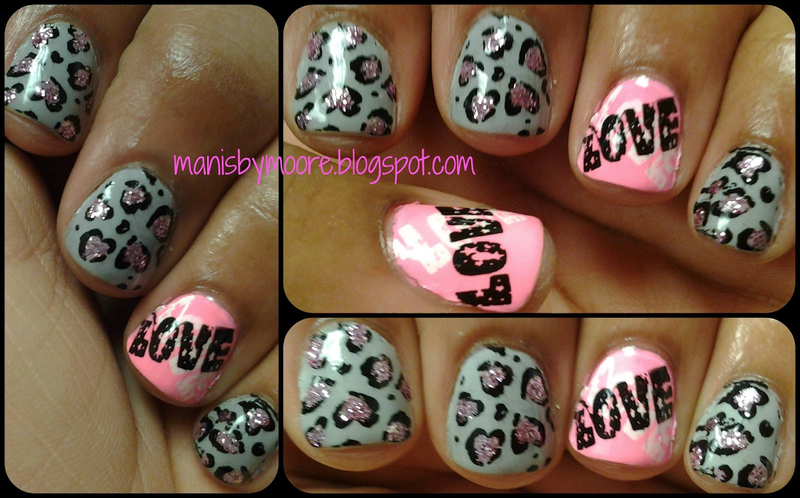 Cute mani !! Love Pelican Gray - one of my favorite gray shades ! !